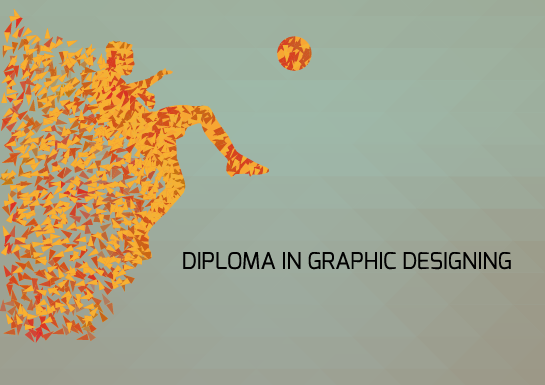 Our Graphic design courses are designed to get you started in graphic designing. To fulfill the increasing needs of visual communication in various business activities we have designed this course. We are here for those who want to make their career in this field. Graphic Design is an important phase of Communication Design. Graphic Design focuses on various topics like typography and type design, illustration and photography, packaging and print design, signage design and corporate identity systems. This IT course would Lead students in fields of computer graphics, multimedia and web design. Run your Own Graphic designing studio. This is the great option for being a manager or art director and gains a lot of more exposure by doing graphic artwork of very large Brands. The best part of graphic design is student can make their career easily in freelancing opportunities through internet and make profit in their extra time. The course is beneficial to allow designers to conceive, negotiate and realize design concepts for complex projects using sophisticated communication, organizational and project management skills. They may take responsibility for the work of others in terms of establishing and monitoring systems to ensure the effective production of work. This module gives the student an understanding to the elements & principles of design. The students will learn different graphic elements – lines, form, texture, etc. Students will become familiar with the visual language. Through this module student will be able understand the different design principles. This module will introduce students to drawing techniques. Students are encouraged to explore and experiment with various drawing skills and art media. This module also provides an understanding and importance use of color for design. Students will discover the principles, attributes, dimensions, harmonies and phenomena of color. By understanding color from a social, cultural and psychological context, students can thus manipulate colors in their design. This module will help student develops basic principles that guide the form and function of the printed page; Students will also be taught how various elements combine to make a successful layout, using words and images to communicate ideas effectively. This course will provide student with knowledge through practical exercises to enable them to use the fundamental concepts and principles in the use of typographic design. This module will introduce the techniques for creating digital illustrations through the application of two dimensional vector images. Using design tools, student can apply it on projects such as book covers, film/event posters, album covers, packaging, advertising, magazines covers etc. This module will teach the techniques of image editing. Using a design tool, students will improve their photo editing and retouching technique and produce complex digital images, exploring technical and aesthetic aspects of the image manipulation processes most commonly used in the visual communication industry. Packaging Design will introduce students to materials and processes related to forms for packaging. Through understanding the appearances of various packing materials & qualities of the products, students will be able produce various solutions. This module gives detailed knowledge of Advertising Design from its origins to its development as a modern marketing communication tool. The importance will primarily be on introducing students to strategic design by means of research and development.